Our homies from the Scrub Care Unit just sent us some info that we’d like to share. Obviously Hurricane Florence has been all over the news for the past several days, and though it was downgraded in the days leading up to landfall, that doesn’t mean that nobody was affected. The storms continue, and the damages and casualties are unfortunately on the rise. That being said, we need YOUR HELP! The Scrub Care Unit is heading up a fundraising effort where 100% of the proceeds will be going to Habitat For Humanity! To find out how you can contribute, check the info below. As previously discussed before Hurricane Florence hit, Faygoluvers and SCU Charities is kicking off fundraising efforts with all proceeds going to the Hurricane Florence relief efforts that have already started. As with our efforts for Hurricane Harvey, Faygoluvers/SCU is going to collect donations from you – the Juggalo and underground family – with all proceeds going to the Habitat for Humanity rebuild and recovery efforts that will be kicking off in the very near future. Just like Hurricane Harvey, Florence has made its awesome presence known with the full might of a storm almost 400 miles wide, hurricane-force winds, torrential rainfall, and record shattering flooding. At the time of writing this there has been a reported 18 deaths directly related to Florence and the rescue operations are just now really beginning. Unfortunately, we expect the death toll to increase as this massive storm continues its way across the country as it slowly (so painfully slow) moves and continues to bring rainfall and flooding in its wake. 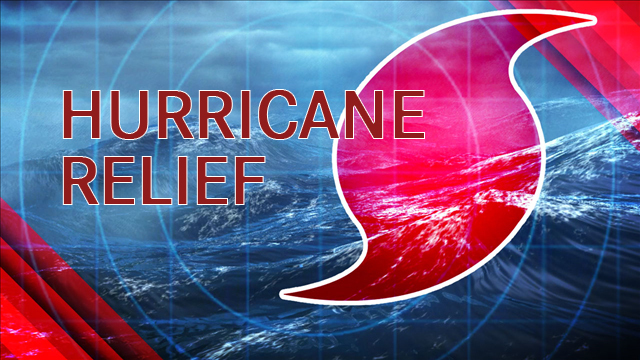 Florance has impacted the lives of several hundred thousands of people in the North and South Carolina areas, as-well-as surrounding states and communities. With this being said Faygoluvers and Scrub Care Unit have teamed up to raise funds to help assist those affected by the hurricane. We will be accepting donations through Scrub Care Units Paypal at “ltomlin12@yahoo.com” (SCU’s Secretary). All of the funds will sent to the Habitat for Humanity relief and rebuild efforts on BEHALF OF ALL JUGGALOS. Additionally, if enough funds are raised, we will also target those in need with children that might required more immediate assistance (such as school supplies, medical assistance, ect…). Our ability to help is totally guided by all of you willing to donate! Once again, we are not only helping those in need but also showing the world we are not the gang labeled society as dictated by the FBI. Please help Faygoluvers and SCU stand in the breach, pooling out resources, and helping those in need! This donation drive will run from Sept 17th to Oct 17th – at which time (just like with Hurricane Harvey), SCU will provide Faygoluvers with a full report of all donations, those that donated, and where all the funds were disbursed to – which will be then sent out to all of you. SCU Charities is a nationally registered 501c3 and is proud to represent the Juggalo and underground family!! From all of us at Faygoluvers and SCU Charities – Thank you! Man I don’t even have a dollar!!! Shout out to Scottie D and the SCU for holding it down for the Family. Always going above and beyond for one another If this killa gets some skrilla forilla between now and then you got my $! Is donating items possible?I can go thru tha hood asking for items and scrounge up myself. Just asking. EC, i thought this too. Problem i found is getting it from my place to either scottied, scu, or to the right place in the carolinas. You figure out a way man let me know.